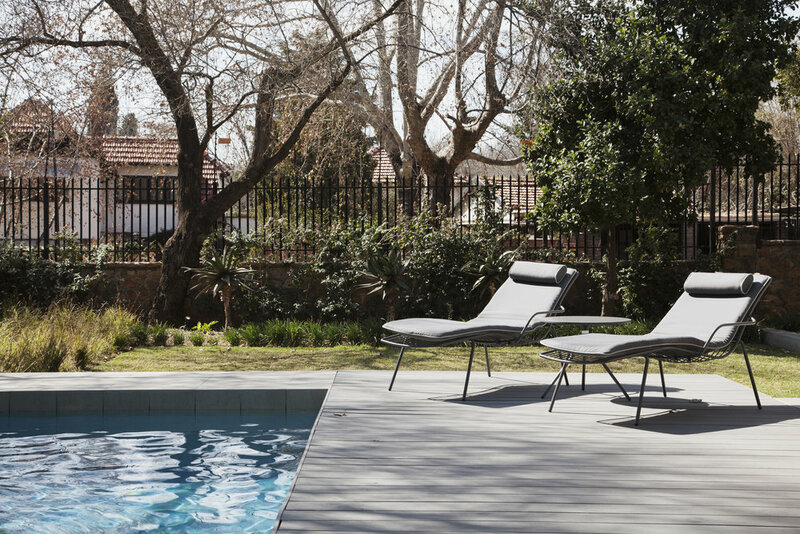 A Joburg-based fashion designer needed help executing her vision for her Parkview home. Being someone with natural creative flair, who’s not afraid of colour, her home has been an exciting project to be involved in. To date, we’ve designed all the furniture in both lounges as well as the some of the pieces in the TV room and patio. We also helped source additional furniture to compliment ours. Because we were brought on from the beginning we set about space planning each node before designing the bespoke pieces to suit each area. The stand-out pink Helsinki Chair encapsulates the look and feel of this project, one that is both timeless but edgy too.